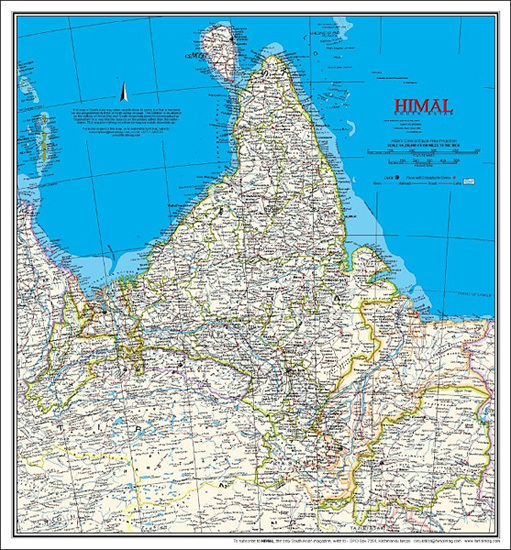 Southern Asia Upside Down Wall map, size 43 x 48cm (16.5" x 19" approx), from the Kathmandu-based Himal Southasian publishers with the south on top - a familiar by now presentation for maps of the world but a novelty for this region! 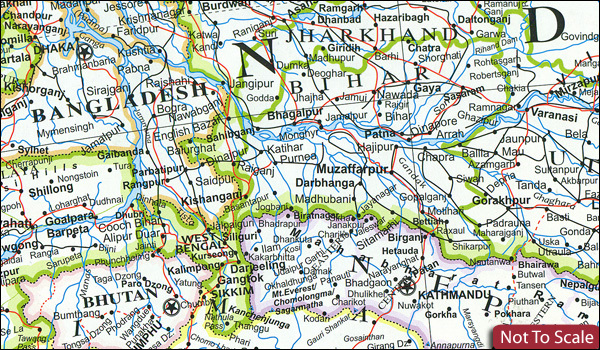 Extending from Sri Lanka to beyond the northern border of Tibet , coverage includes India, Pakistan, Bangladesh, Nepal, Bhutan and Afghanistan, plus the Maldives shown on an inset. Main road and rail networks are shown on a plain base with topography indicated by names mountain ranges, peaks, rivers, etc. Within India, Pakistan and Afghanistan the map also shows the boundaries and names of the states/provinces. Size: 43 x 48cm / 16.5" x 19" approx.